Trinidad and Tobago is looking to attract exploration investment with a new offshore bid round. However, the introduction of a royalty imposed on investors may be counter-productive for the government in the longer term, according to GlobalData, a leading data and analytics company. Assuming similar values to the biddable profit oil split as was agreed for earlier contracts, the increased royalty rates would make the regime significantly less attractive and could therefore limit take-up on new exploration opportunities. 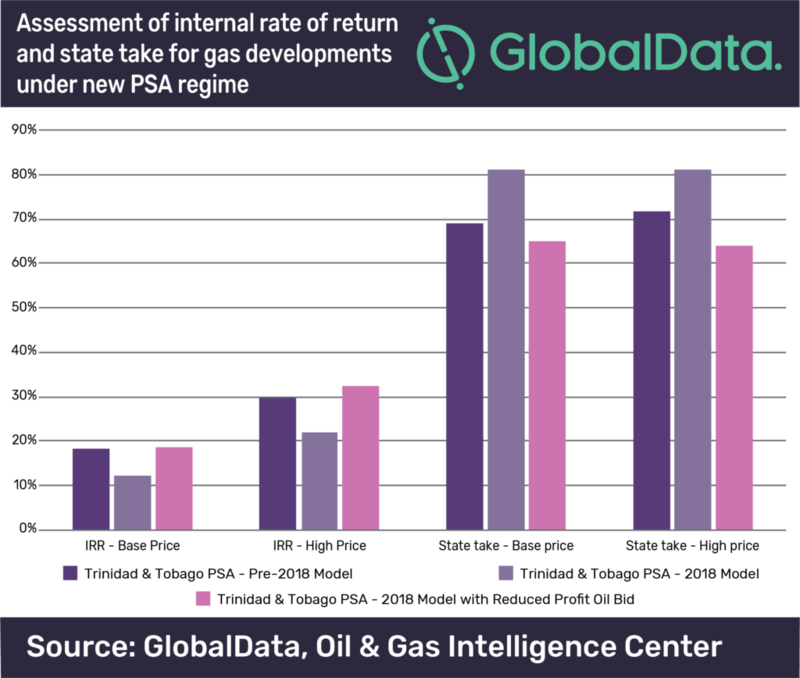 On the other hand, if investors bid relatively lower profit oil shares for the state, then the state may actually receive a reduced share of profits from potential developments under the new model contract. This is because higher profit oil shares to the state would generate higher revenues from potential developments whilst a constant royalty payment would not. Additionally, if prices rise or costs are low, the imposition of a constant royalty over a higher progressive profit sharing yields less revenue for the government.